PVCu window and door reinforcement specialist, Anglo European Group has helped long-standing Barnsley-based fabricator, Sash UK to streamline its manufacturing, by offering a fully optimised steel reinforcement service. Nick Lilburn, Managing Director at Sash UK explains: “Steel reinforcement is often the part of the window that’s out of sight, out of mind, but we understood that it was an important part of our quality strategy to get our steel reinforcement supply chain working in the most efficient way possible. Anglo European is the reinforcement specialist for the window industry and recently launched a 10-year warranty for its fully optimised steel reinforcement, offering peace of mind for fabricators. Nick continues: “James looks after our account and he worked with us from the start, to create a process that worked for everyone. This included buying in pre-cut steel in key sizes that could be used in our manufacturing, straight off the shelf. We also hold optimum stock levels of main running lengths, pallet quantities and lower running lengths. 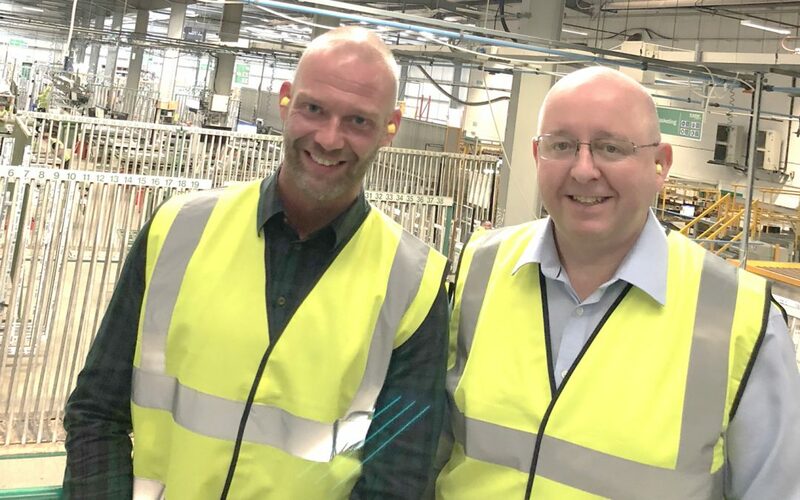 “This process has been tweaked and refined by James, who has been on-site, talking to our team in our state-of-the-art factory, to help deliver efficiencies, and altering orders and delivery schedules so that we have ‘just-in-time’ stock replenishment. “With the trend continuing for bigger window sizes and coloured frames, reinforcement really adds value and longevity to windows for homeowners, which is why it’s such an important part of the fabrication process.